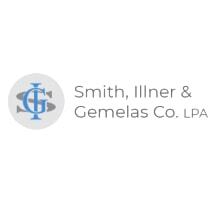 At the law firm of Smith, Illner & Gemelas Co. LPA in Elyria, Ohio, we offer a full range of legal services in a variety of practice areas in order to help individuals, families and business owners with all of their most important and serious legal challenges. When you work with our law firm, you will receive dedicated attention directly from a top-rated, local attorney you can trust. We will work closely with you to fully understand your situation so that we can offer the sound advice you need to help you make the best informed decisions about the matters that affect your case, and we are always available to address your questions and concerns as they arise. Whether through litigation, mediation or negotiation, we will always keep your rights and best interests at the forefront of our efforts as we strive to help you achieve your specific needs and goals. To receive a free initial consultation concerning your case, you can contact Smith, Illner & Gemelas Co. LPA to schedule an appointment, and we can come to your home or hospital if you cannot make it to our office.